Here is another revised BT mug. 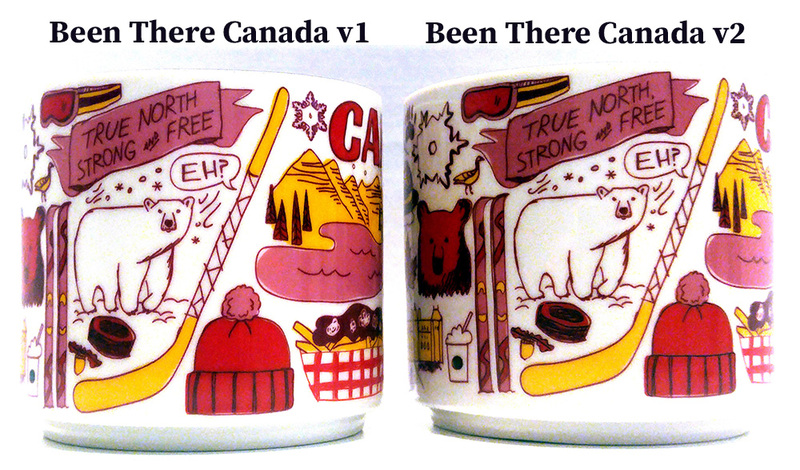 The change we see in Been There – Canada v2 is really subtle. You actually have to play “spot the difference” game here. 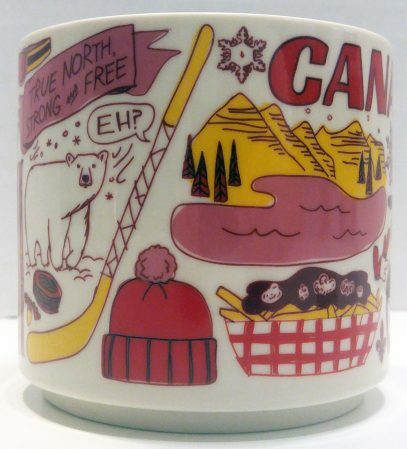 If you, like me, could not find it right away, here is the spoiler: the only difference is the comma in the line “The True North, strong and free”, which is a weird decision, since the official text of the Canadian anthem doesn’t have that comma. With this new releases, Starbucks is actually bringing more questions, rather than fixing things.